CAN’T FIND THE ANSWER BELOW? CONTACT US! Let’s start off with what Krav Maga IS NOT. It is not a choreographed martial art like so many “self defense” systems. It is a combat system, developed by the Israel Defense Forces (IDF), that is designed to save lives. Is This Civilian, Law Enforcement or Military Krav Maga? A fight for your life is a fight for your life regardless if you are a civilian, law enforcement or military. The only thing different might be the battlefield – where the fight takes place. 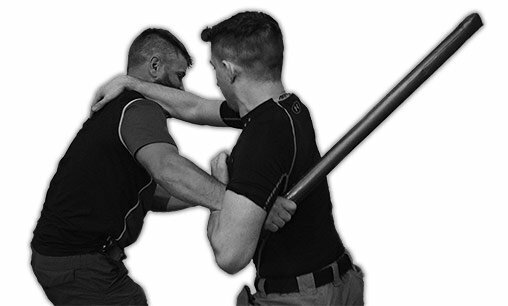 Any instructor claiming to teach 3 different categories of Krav Maga and implying they have secret military Krav Maga techniques is so far out of touch with reality and is playing games with your life. Walk away. The reality is you are not. The other reality is since bringing Krav Maga to Oklahoma our competitors have decided to add Krav Maga to their curriculum. They’ve heard about the effectiveness of our system and have even attended our seminars, classes, etc to steal technique. That’s business. But they’ve got it all wrong. The step by step technique is not the basis of the system and is just a small part of learning to save your life. Someone who has stolen parts of our system doesn’t completely understand what they’ve “borrowed” and they definitely don’t understand the system in its’ entirety. Attempted imitation is the biggest compliment, but they’ve taken a perfect steak and turned it into a cheeseburger. There is only one Oklahoma Combatives. How Long Will It Take Me To Be An Effective Fighter? Krav Maga is a short journey. Any real self defense system not only has to be brutally effective, but simple for everyone to learn within a reasonable amount of time. How long will it take you? That depends on you. How frequently you attend class and more importantly how much you apply yourself during those classes. We can’t do the work for you. Your first visit is by appointment. CLICK HERE to schedule your first visit. Why Is OC The Only Place With “REAL” Krav Maga? Oklahoma Combatives’ program is based on REAL WORLD EXPERIENCE. Many places claiming to teach Krav Maga are teaching choreographed techniques and unproven theories. Their lack of proper development and real world experience actually INCREASES your odds of not surviving a violent attack. Our instructor is trained out of Israel and brings valuable real world experience to the table. Many agencies have been trained in our system including federal govt, law enforcement, counter terrorism units and more. 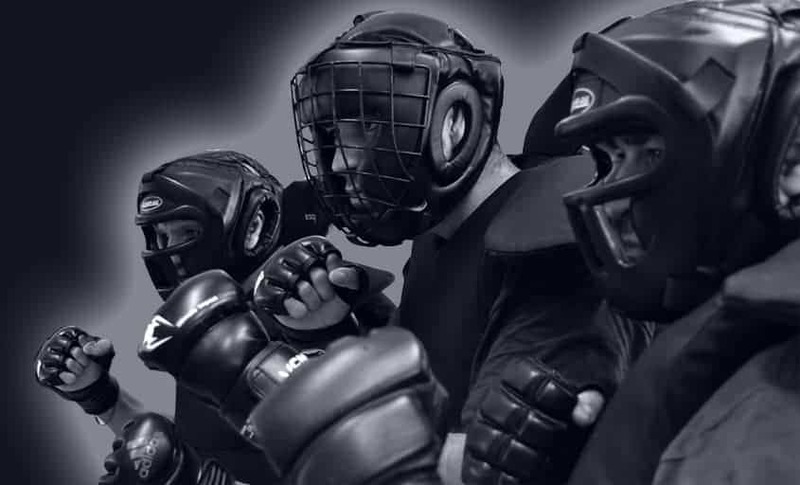 If you’re serious about self defense there is no better choice than Oklahoma Combatives. Do You Offer Other Classes Like Zumba, Yoga, Children’s Karate, etc? Krav Maga is not an “add-on” for us. It’s what we do and we’re damn good at it. If you want a fitness program there are plenty of places that can fit your needs. But if you are serious about Krav Maga there is no better place than Oklahoma Combatives. Do You Offer Any Other Specialized Training? Our Active Shooter program is among the best available. Unlike the other guys, we wont waste your time with Powerpoint presentations. Our program is a hands on experience that truly prepares you for one of the worst experiences anyone could face. This is one of the most eye opening experiences for those who carry a firearm. Our Force on Force program brings the realities of weapon vs weapon fighting to life. This program is a favorite among the law enforcement community. Violence can happen anywhere, including inside/outside of your vehicle. Eye opening experience following key principles to turn the tables on your attacker and get you home safely. Human trafficking is a global epidemic, but it doesn’t only take place in foreign countries. Because of geographic location Oklahoma and Texas rank high among the states with serious human trafficking activity. Dealing with all aspects of human trafficking from beginning to end this course is one everyone should take. This is a reality for everyone, not just professional security services. Most people approach “self defense” with the mindset of being the possible target of violence. But reality is a loved one, coworker or a complete stranger could be in danger. This course lays the groundwork for helping others when in need. Disaster hits and you are forced to leave an area. Or an unplanned event has you stranded for a significant amount of time away from home. Having a bug out bag with key essentials can help sustain you until help arrives. This course will also include basic life saving techniques/first aid and each participant will physically build a bug out bag they can take home. Beginner and advanced firearm courses available. All interested parties will be required to pass background checks and prerequisites to participate. Participants will be hand selected and we reserve the right to refuse entry to these events if we feel it is in the best interest of the group as a whole. QUESTIONS ABOUT OUR COURSES? CLICK HERE TO SEND US A MESSAGE.